Naftali Brawer PhD is an ordained Orthodox Rabbi and is the chief executive of Spiritual Capital Foundation says payday lenders could be better and has an idea drawn from Jewish interest-free loan fund model. When I was a little boy, my classmates and I were utterly convinced that our teacher was a millionaire. Our evidence was based on the fact that he always carried a thick billfold in his pocket from which he would frequently peel off notes to give to various members of our community. It was only when I got older that I realized my teacher was far from a millionaire and that the money he carried was not his own. He was the treasurer of the local interest-free loan fund, a common feature in Jewish communities. Loans were limited to several hundred dollars and the borrower had to provide two guarantors lest they default on the loan. In a tight knit community such as ours there was never a shortage of guarantors. By spreading the risk in this way the interest-free fund remained solvent. Recently the Archbishop of Canterbury declared war on payday loan companies that squeeze huge profits out of some of the most desperate members of society. 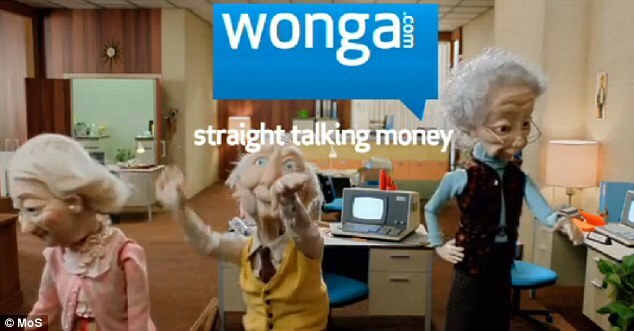 He told Errol Damelin, the founder and chief executive of Wonga, that he intends to compete them out of business by throwing the Church’s weight behind five hundred financial cooperatives and credit unions. The Archbishop has also welcomed moves by City regulators to protect vulnerable customers of payday loan companies from descending into an unmanageable spiral of debt. The Financial Conduct Authority (FCA) has proposed that all borrowers should have an ‘affordability’ check before being given a loan, and that there should be risk warnings on advertisements. Whether stronger regulation will work at the payday loan companies – and indeed whether the Archbishop’s credit unions will succeed – depends on whether they can manage the risks of default whilst at the same time keeping interest rates reasonable. One model that hasn’t yet been discussed is the Jewish interest-free loan societies that spread the risk by insisting on guarantors. Admittedly this model only works in close and familiar communities, but at least it’s a start. Can payday loan companies succeed as ethical businesses? It is entirely conceivable provided the companies are prepared to re-examine their corporate purpose, in other words, questioning why they exist in the first place. The approach at the moment seems to be: ‘How can we make the most profit while remaining within the parameters of the law?’ The business model that flows from this is impervious to the degradation and utter ruin of those desperate enough to get into debt they cannot afford to repay. The business model that results from answering this question will be far more humane and beneficial. It would look for profitability not in the borrowers defaulting on loans but rather on their repaying them with reasonable interest. How about mitigating the risk of default? One solution might involve ploughing some of the profits into funding debt counselling, with related debt-management material on an interactive website. This would give the most vulnerable a fighting chance to keep their head above water. Through consolidation of debts, introductions to government schemes and prudent fiscal management some of society’s riskiest borrowers might improve their chances of repayment, turning a fair profit over to the payday companies while regaining their dignity and financial stability. Payday loan companies could fulfil a need as there are thousands of vulnerable people who find it hard to get credit from high street banks. Those people need a just and compassionate solution to their most pressing financial problems.